If you were to hop on YouTube, Instagram, Facebook forums, or the occasional website, you’d see pronouncements. Pronouncements full of dreams, romance, and aspirations. A person declares their intent to hike a long trail. A journey full of rainbows, unicorns, and sunshine. They’ll sit at alpine lakes, have John Muir-like epiphanies, and become one with the universe. 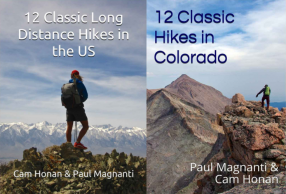 Long hikes are viewed a bit like a cross between Dharma Bums and The Motorcycle Diaries mixed in with a healthy dose of Walden and Desert Solitaire. And to get ready for this #EPIC journey? Gear gets discussed over and over. People eagerly watch mostly aspirational vlogs and refer to the videos as scripture. People declare that they are going to conquer the trail. And invariably people say “YOU GOT THIS!” to encourage the person on their pilgrim path. All over Da Web at one point. Except the reality is that you’ll sweat, stink, and possibly ache, and those idyllic John Muir-esque moments by the lake are preceded by schlepping a pack, sleeping on the ground, and walking steeply up and down routes. Is a long hike rewarding? Of course, the journey is rewarding! There is a reason why many people adjust their lifestyle to take longer journeys on a more frequent basis. …there is nothing like a wilderness journey for re-kindling the fires of life. Simplicity is part of it. Cutting the cackle. Transportation reduced to leg- or arm-power, eating irons to one spoon. Such simplicity, together with sweat and silence, amplify the rhythms of any long journey, especially through unknown, untattered territory. And in the end such a journey can restore an understanding of how insignificant you are – thereby set you free. A wilderness journey does free you in ways that aren’t understood. That is until that pack is shouldered or you raft, or bike, and travel in the mountains, woods, or the desert. But too many people focus on the romance of the journey rather than reality. The pragmatic nuts-and-bolts crap that lets you enjoy the journey even if you are stinking, hurting, sweating, and chaffing. You might curse at the steepness of the trail or misreading the landscape, but you know it is part of the journey, shrug, and move on. And find contentment. Something beyond happiness. And it is a heady feeling. I am not discounting the romance of the long journey. Imagination and yearning turn dreams into reality, after all. But to make sure the dream does become a reality and not a maxed out Visa due to gear purchases, airfare, shuttle fees and another plane ticket home a few weeks later, some simple ideas might be warranted. Common image found via GIS. Be realistic in your skill level, financial situation, obligations, goals, and when you can go on a long hike. Do some research. See how much a hike realistically costs even on the low end. A figure outdated twenty-years ago is even more outdated today. You might have all of June off this year, but that does not mean you can hike The Colorado Trail with your current skill set. If the majority of experienced people tell you something (Yes, you really should not carry just your phone on the Hayduke. No, your discount tent and a January start of the Appalachian Trail is not a good idea. ), perhaps you should reassess. Do you have family members who would be impacted by your decision to take off for weeks or months? In the end, are you looking for affirmation and validation or advice and suggestions? 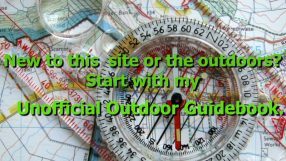 See if you enjoy backpacking! No, really. Sounds silly. But a good amount of people get out there without ever having backpacked before. We all have heard of someone who tackled the XYZ trail and never backpacked a day in their life. But when 75% do not complete their attempted thru-hike of the AT, I am more curious about the 75% non-completers vs. the 25% completers. Not that having experience backpacking guarantees completion of a long hike, but a seven-day backpacking trip at a moderate ~10-15 mile per day pace is an excellent baseline for most trails. A Saturday, a Sunday, and a week of PTO makes for a modest investment in seeing if you enjoy a taste of a long journey. 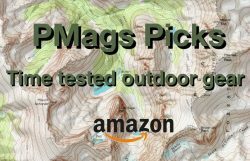 You get to test your gear, see some beautiful areas, and see if you enjoy being outside at a pace similar to a long hike. Start thinking of gear as a system. Do your initial research and start thinking of your gear as a system for a specific environment and style of backpacking rather than as individual pieces of gear. I’ve discussed this concept before. In essence, the individual weight of an item does not matter if it does not fit in your system overall. A frameless pack sans a hip belt works best on-trail with light food carries and with a minamal kit overall. Your favorite YouTube vlogger probably has more experience (maybe?!?!) to make a minimalist kit more comfortable. It probably will not work for you. Go as light as you can, but don’t stress over it. Similar to the above. Do some research. Read reviews from trusted sources found at various places. See what works for your comfort level, style, and budget. Be wary of people posting their gear spreadsheets as something to emulate. Many of these spreadsheets are more theory than practice. Anyone can make a list that looks good on paper but is not tested in the real world. And be double wary of Top Ten Lists from some “expert.” The lists are of dubious value and are more to sell gear than to give you advice. And, finally, with modern gear, it is exceedingly difficult to get a heavy kit. Don’t take five pairs of socks, the espresso maker, and too many tchotchkes. Think minimalist and carry less. Even with “off-the-shelf-gear” at REI vs. cottage gear, you’ll find that your gear load is a respectable sub-20lbs. And you can go even lighter without having to spend a lot of money to achieve an overall lighter pack weight. Backpack some more. And hike. And backpack still more. Start with the first item above. You’ll hear the old saw “You’ll get ready on the trail!” Well, maybe. But if you are spending a lot of money, time, and preparation for something that involves hiking, wouldn’t it make sense to hike a bit? Besides, being outside is more enjoyable than spending a weekend shopping, reading about things you want to buy, or watching YouTube videos about someone else’s hike. And you find you don’t like the longer mileage days, weeks away, or even backpacking? There are many ways to enjoy the outdoors. Long walks are just a small subset of ways to enjoy the outdoors. Take a road trip, camp, and enjoy a few months of shorter backpacks. I did. And found it immensely satisfying. Or join a trail crew for a summer. Bike across America and see the small towns instead of the wilderness. Of hike the trails in vacation-length segments instead. You get the idea. A different path may be best for your outdoor enjoyment. Get passionate about your hike. Envision yourself in a place more beautiful than you imagine. And get excited about the journey. But take a few steps to make your dream a realistic endeavor. Dreams are wonderful. Making your dreams a reality is even better.